CINCINNATI -- At Moeller High School , students aren’t just freshmen, sophomores, juniors or seniors — they're also members of a house. Yes, it's similar to Harry Potter -- only, at Moeller, you're in Zaragoza, Zehler, Eveslage, Quiroga, Pillar or Trinity house. Like at Hogwarts, each Moeller house is named for people and places with connections to the school. Upon starting school at Moeller, an all-boys Catholic high school in Montgomery, each student is randomly assigned to a mixed-grade “house” of 140 students where they will remain until graduation. Faculty members serve as house dean and homeroom mentors, and a guidance counselor is assigned to each house as well. The six house teams compete with one another for points throughout the year in an attempt to win the Marianist Cup at the end of the school year. 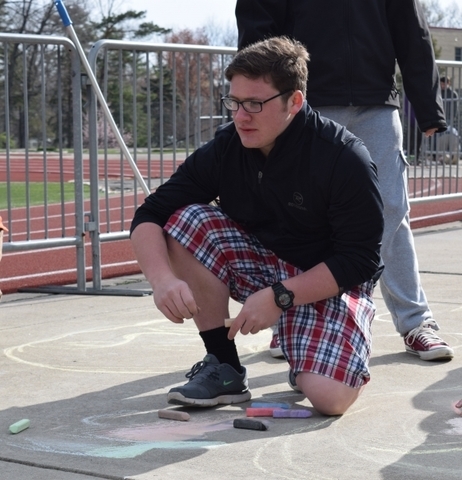 Houses can earn points by doing things like bringing in the most canned goods for a food drive, winning an independently judged sidewalk chalk art challenge or showing the most spirit at a sporting event. The points are a simple incentive to encourage the boys to participate in something that unifies the school across grade levels, said Beth Zilch, Moeller’s associate director of admissions. Because students are randomly assigned, boys are inevitably placed with kids with a variety of interests that they might otherwise never meet. “Kids interested in the art program — or the music program or athletics — aren’t all going to be together in the same house. It helps break down some of the stereotypes kids might have,” Zilch said. Students also have more leadership opportunities than a traditional student government system. There are leaders within the homeroom mentor groups, leaders in the houses and grade-level leaders. “We see a lot of positives: It gives kids something to belong to right away, it makes them feel connected, helps them build relationships across the high school and gives them two more adults to help them navigate school,” Zilch said. The idea for the house system at Moeller, which was introduced 10 years ago, was borrowed from an Australian high school with which Moeller students participate in an annual student exchange. Positive feedback about the house system at that school kept popping up on Moeller students’ evaluations following the exchange program. Administrators took at team to Australia to evaluate the program and ultimately decided to incorporate the program at Moeller in fall 2005. Moeller isn’t the only local school to operate under a house system, though they were an early adopter. Students at many area Catholic schools – high schools and grade schools – participate in a house system or school family program that mixes students across grade levels for various activities. Purcell Marian High School in East Walnut Hills adopted a family program this school year after Jon Tobin, Purcell Marian’s dean of student life and head football coach, learned of similar programs at La Salle and Ursuline Academy . Every Purcell student is assigned to one of 10 families, each of which has about 40 students. Each family has two senior captains and a faculty mentor. Jamiah Davis, a senior from Madisonville who serves as a captain for her school family, appreciates the opportunity to be a leader, especially as she prepares for college next year. She also said the family program is particularly helpful to new students. “I can see that the freshmen can be shy and this helps them get more involved with school and make friends and get their freshman year going,” Davis said. The Catholic, all-girls Seton High School in Price Hill also implemented a house program for the first time this school year after a small group of students visited Moeller to study their house system and then proposed making the switch with the support of faculty and staff. The effort to implement the house program — led in part by senior Sydney Hoffman — came together in less than a year and is modeled after Moeller’s system, said Marianne Ridiman, Seton student retention coordinator and house dean. 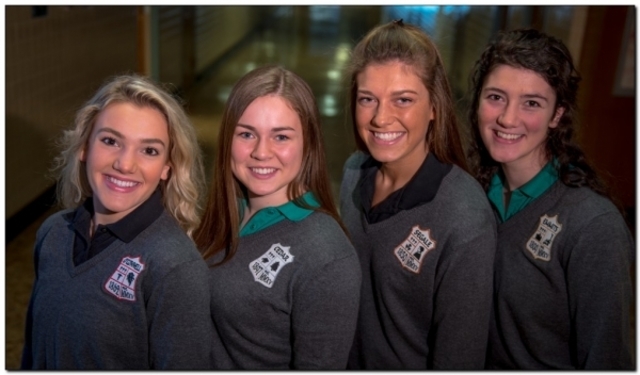 A sign of success, Ridiman said she’s excited by how often she sees students choosing to wear their new sweaters featuring patches with the student-designed house crests, over the typically more popular Seton sweatshirts. The program has helped freshmen feel immediately welcomed into the school and next year’s incoming freshmen have already been assigned to their houses.